Bagh Chal (meaning moving Tigers or change of Tigers), is also known as Tigers and Goats. 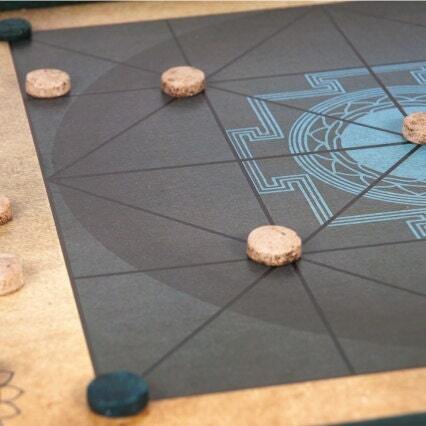 It is a two-player board game from Nepal. 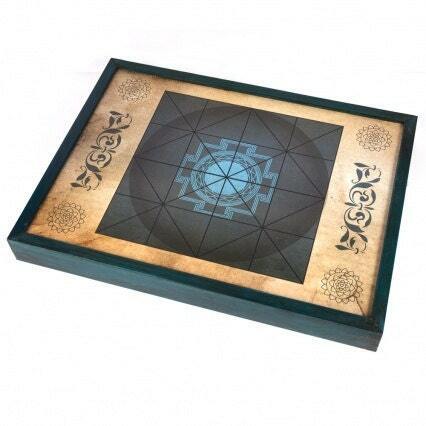 The Bagh Chal is a very stimulating strategy game for all ages. 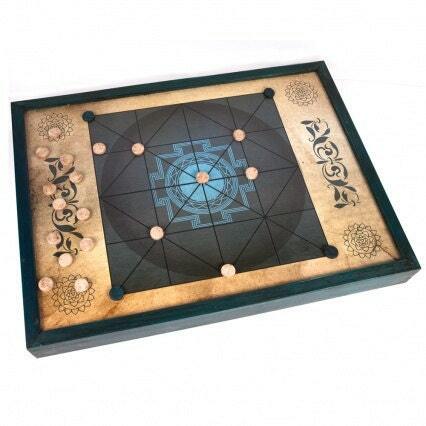 To play this board game, two players face with different goals. The player with the goat pieces (the white ones) has to block the movement of tiger pieces (the black ones). And the player with the tiger pieces has to capture at least five goats to win the game. This Bagh Chal is handmade in wood and decoupage, and it has a rear storage system to store the wooden pieces and the instructions. This was a gift, so I didn't get a photo of it, but it was absolutely gorgeous, and my friend is thrilled! VERY fast shipping! It arrived Christmas eve! PERFECT timing! My brother LOVED it! Thank you! The article was send quickly and was in good order. However the workmanship wasnot as good as I expected. The drawer below the board doesn´t stay attached. The item is okay, but I was a little dissappointed.